Bristol has long been a pioneer in sustainable city living with over 9,000 people employed in its low carbon economy, the lowest carbon emissions of major UK cities and around 50,000 residents (over 10%) already involved in green activities. After 40 years of innovative environmental efforts with real successes in areas such as food, travel energy and waste, Bristol’s new international status will build on the blueprint for city living worldwide and serve as a catalyst for change locally, nationally and globally. The center of Bristol. Courtesy of Bristol City Council. Bristol’s aim is to become a test-bed for environmental ideas, developing pioneering practices that will become a model for cities around the world. As a complex historic city with a population of around 500,000 (over 1 million in the city region), Bristol can serve as a model for many other European cities. Bristol will be focusing on five core themes for the year: nature, food, energy, resources and transport. 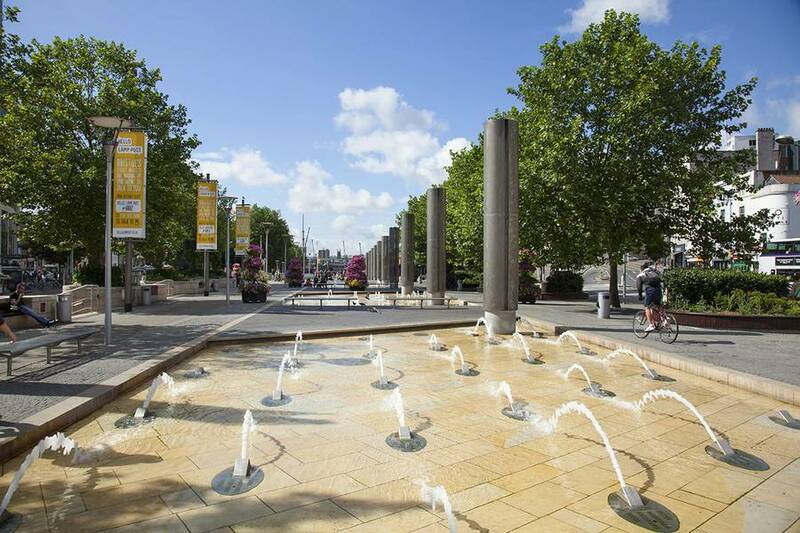 Each theme will be supported by Bristol 2015’s £2 million environmental grant programme, which is the largest ever offered by a European Green Capital. Bristol is fast becoming the UK’s most energy-efficient major city, and it plans to take this a step further in 2015 with ‘Warm Up Bristol’. Thanks to the support of the European Investment Bank, Bristol City Council is implementing the UK’s largest home retrofit and local renewable energy programme – investing in practical measures that will not only create warmer homes and save residents money but also help the city achieve its ambitious carbon targets. Bristol also plans to launch its own energy company later this year, giving residents a unique opportunity to buy their energy locally and more ethically. And by 2021, all of Bristol’s council houses will be fully insulated, with new heating systems installed. Currently the vast majority of Bristol’s food is sold by a few major supermarkets. At the same time, one of Bristol’s iconic streets – Gloucester Road – has one of the highest concentrations of independent shops in the country. The diversity of food outlets is unrivalled. Bristol plans to significantly increase the amount of food grown in and around the city. It is supporting several projects to grow more food, celebrate local food and help more people to cook from local ingredients. There are strong existing networks between local communities, and the local government will work to empower people to ensure that the value of sustainable living is delivered across Bristol. The Bristol Food Policy Council has been encouraging individuals and businesses to sign the Bristol Good Food Charter, which outlines a vision for a truly sustainable food city. 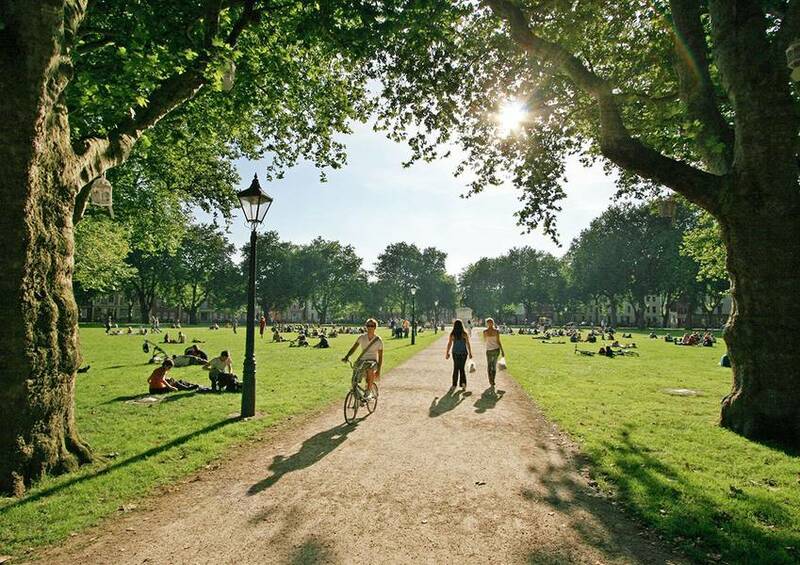 Bristol and the surrounding countryside still offer one of the greenest areas in the country, with one-third of the city being open green space or waterways. The region also has the fastest growing population in the UK, with all the development pressure that brings. One of Bristol’s many green spaces. Courtesy of Bristol City Council. Avon Wildlife Trust is leading the way for Bristol 2015 by transforming a disused site in the Avon Gorge into a new nature reserve. The site (at Bennett’s Patch and White’s Paddock) was used as a dumping ground for World War Two blitz spoil. The site is part of the Trust’s new campaign, My Wild City maps, which picture the city with needs of wildlife at its core. The maps are designed to inspire people to take action for wildlife and make this part of your everyday life. Bristol has the lowest waste per capita of any major English city – substantially lower than the UK average. However, it still costs over £5 million per year to clear up litter (including cigarette butts, bottles, cans, chewing gum, paper and other waste) from across the city. The City Council collects 6,000 tonnes of street litter each year and 1,400 tonnes of fly-tip material. Bristol hopes to take inspiration from places like Estonia, where the global anti-waste campaign “Let’s do it!” began in 2008. Originally it was just a few people who decided to do something about the problem of litter in their forests. Eventually this led to 50,000 people coming together to collect 10,000 tonnes of waste. The LitterARTI project is another beneficiary of the Bristol 2015 small grants fund and aims to use art to encourage awareness and education about rubbish and recycling. Bristol’s ambition is to become a world leading city in active travel, with four out of five journeys under five miles being made by foot, bike and public transport. Bristol already has by far the highest rates of walking and cycling of any major English city outside London. However, more can be done to make cycling more attractive, safer and easier. Significant investment in cycling infrastructure and initiatives is planned, with the aim of reducing congestion and improving air quality and the health. The current Cycling Ambition Fund will invest £11 million over the next few years, building on the £23.6million Cycling City programme between 2008 and 2011. Bristol is also one of eight cycling cities eligible to bid for part of £114 million grant in an expansion of the Cycling Ambition Cities Programme. The funding is designed to help accelerate the development of local cycling networks, increase protection for cyclists at junctions and traffic hot spots, and help prevent accidents. Whether it’s smaller ideas or thinking about large scale partnerships, cross-border cooperation will open all sorts of doors and will help put Bristol on the international map. Bristol is making the most of this great opportunity to bridge the gap between what needs to be done to ensure a safe climate and the actions people are taking, in everyday decisions and in individual homes across the city, in order to get there.